Excerpt: Sometime short story writer may run out of the creative idea and face writer's block. Our chief editor, Soumya Tripathi, gives tips to generate creative ideas for short story writing and overcome the writer's block. Well, there you are! if this article has appeared in your intentional search, perhaps you are also out of idea while writing a short story. In creative writing, it is very frustrating when you run out of idea. Sometime you may have very interesting plot but do not know how to start, or you may have a good character but may not be able to figure out interesting plot. Firstly, these issues are not new for any writer, even for the successful writers. Secondly there is solution. Systematic approach can provide much needed bias for the short story writing and help writer come out of the writer’s block. Finally, such trap running out of idea is a deadly trap nonetheless and to become a successful writer one must keep practising short story writing relentlessly. This article provides few tips to overcome writer’s block and generate ideas for creative story writing. First step to become expert is to know the basic of the field. Short story typically has five key elements – character, setting, plot, conflict and theme. All elements have equal importance in a short story; and a short story writer must do justice with these elements. Few writers may choose to focus more on one element. For example Chekov Anton who more often than not focused more on characterization than any other element. (It should not be misunderstood that his short story missed other elements.) Such writing becomes style of the writer; nonetheless knowing these five elements irrespective of your style may help you in writing short story. You may refer my article “Tips for short story writing” to know the short story elements in more detail with few interesting tips. You may also watch short video below for these tips for a quick reference. Once you have thought of your character, try to see the world through her eyes. Live the character for few days before you really pen her. It does not need any special preparation but just keep your character in your mind. What would she do for any particular incident of your day if she were at your place? How would she react? Would she be liked by your family and friend? If not, why? If yes, why? Having the character in your mind for few days and interpreting your life though her mind, help understand the character better, and thus provide better and realistic characterization in your short story writing. In case you have chosen a real life character, try to interview her or spend time together. Close your eyes and reminisce your past – do you remember any incident two years ago? Five years ago? Ten years ago? Yes? Congratulations! You have an interesting plot. Believe me, if you have experienced plot of your story, your writing would bring lot of conviction and passion, and would definitely be liked by your readers. Typically plot based on true incident may not have needed “spices” for your reader; but adding additional “spices” should not be an issue for creative writer such as you. You may choose degree by which your plot should consider your experience. You may even discard your experience completely. This, nonetheless, provides a good kick-off to your writing. Point to be noted that it is not necessary to use your experience. It may even be long lasting and lingering thought or believe. I personally found noting interesting idea and character is quite helpful in writing. Keep a small pocket diary or use your smart phone to note any interesting character or incident you come across. Just make note without even thinking that one day you would be writing a short story for the incident or character you met. Once in a month, when you are stumped and not able to get any idea, open the diary or notes in your smart phone and read. Choose one or two notes and try to imagine or build story around. I bet, you would be surprise to see the result. First let me confess that it is not my idea and I read it somewhere on the Internet, but it works for me. Make three sets of chits (write in small paper pieces and fold them). First set should be of objects – write names of objects you can imagine such as television, jacket, shoes, shopping cart, tyre, calculator, washing machine … endless list. Second set should be of locations or settings such as airport, forest, beach, railway station, market, shopping mall, picture hall, birthday party, church, college reunion… again endless list. Third set to be of themes. You may search on the Internet for the various themes. (Themes you can copy safely without violating anyone’s right.) Few examples – true love finally wins, true love is hard to be found, cheating friend, cheating husband/wife, my first day in school/office, my first date, my day in hospital, be honest, slow and steady win the race… again endless list. Now, whenever you run out of the idea for short story, pick one chit from each set and write for the theme using setting in which object should have significant importance. Don’t you believe it or finding it childish? I also thought first but later decided to check it and held a Creative Writing Contest based on this idea. I was amazed to see the submissions on craziest possible combinations. Short story writing is an art and it may so happen that writer may run out of the idea to further proceed with writing. Sometime it is more of temporary mental blockage which can be easily removed by systematic approach. 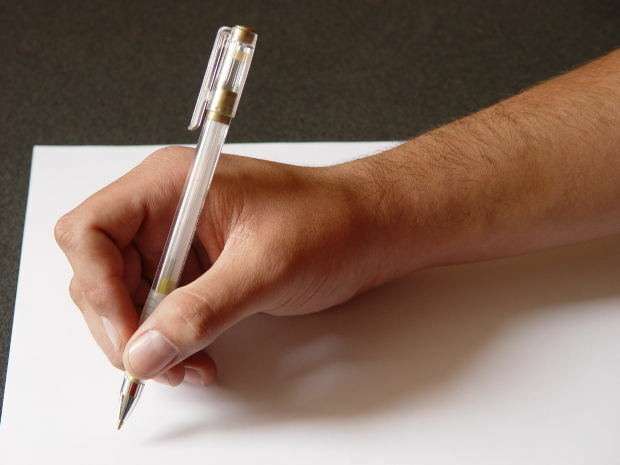 Tips given above do provide few ordinary and easy ways to stimulate writing. Hope this article helps you. Please do write your feedback and comment. All the best! Sorry for spelling your name wrong, Ms. Soumya. I wish Good Luck to you for everything that YSC does.